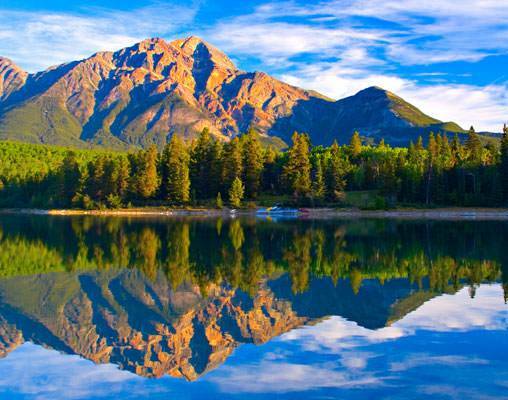 The majestic Canadian Rockies span nearly 69,500 square miles across two provinces. Along this great expanse are quiet alpine towns and breathtaking scenery. When combined with private, first-class accommodation aboard VIA Rail's Canadian, it makes for the perfect romantic getaway. Start with a day at leisure to discover the iconic city of Vancouver. You will then board the renowned Canadian bound for your next destination, Jasper. 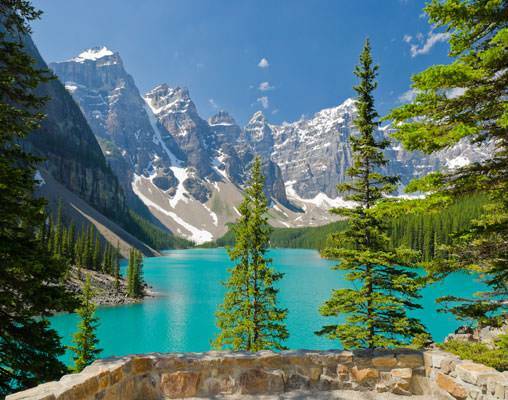 Along your journey, you will be witness to the awe-inspiring sights of the Canadian Rockies, a truly spectacular vision. Once in Jasper, you will have time to explore the beautiful town before taking a day excursion to the Columbia Icefield enroute to Lake Louise. Amidst scenery of majestic cascading mountains, you will spend the night at Lake Louise before continuing to your next destination, Banff, home to hot springs and the spectacular Banff National Park. With your two days of sightseeing, you will witness sights like the Surprise Corner, Tunnel Mountain Drive, and a unique gondola ride to the top of the Sulphur Mountains. Your exciting rail journey ends after your stay in Banff as you transfer to Calgary to make your way home. Well-planned sightseeing and ample time at your leisure complete this itinerary to create a truly memorable vacation by rail. Itinerary is also available from Calgary to Vancouver based on your travel preference. Arrive in the coastal city of Vancouver today and check-in to your hotel. 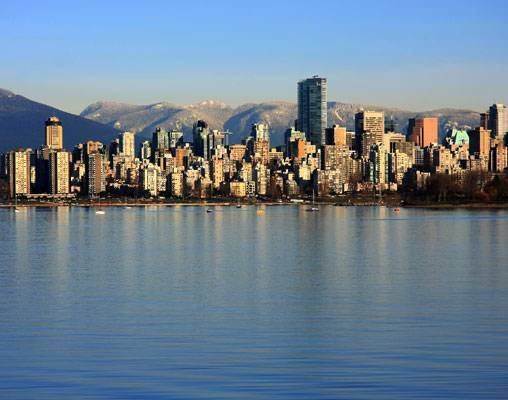 Located in the heart of the city, you're centrally located to many of Vancouver's attractions, shops, and restaurants. Spend time exploring this scenic city on your own. Included is admission to the Vancouver Lookout, offering panoramic views of the city. Overnight Vancouver. Enjoy your morning in Lake Louise before traveling east to Banff, the resort town known for its exciting ski areas, hot springs, and beautiful National Park. Today is yours to experience Banff at your leisure. Take advantage of the towns hiking and bike trails, enjoy a gondola ride to the top of Sulphur Mountains, soak in the hot springs, or enjoy some of your hotel's amenities including a round of golf or luxurious spa treatments. Overnight Banff. 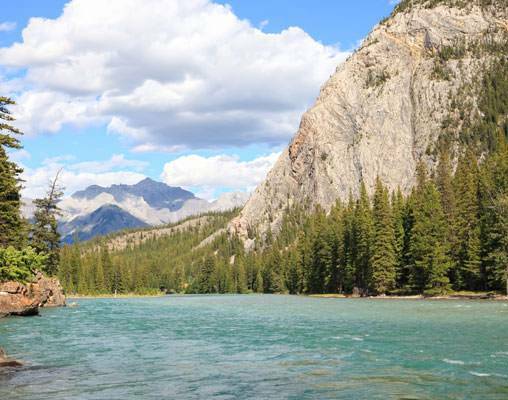 Today embark on a 3-hour tour of Banff and its most impressive sights. 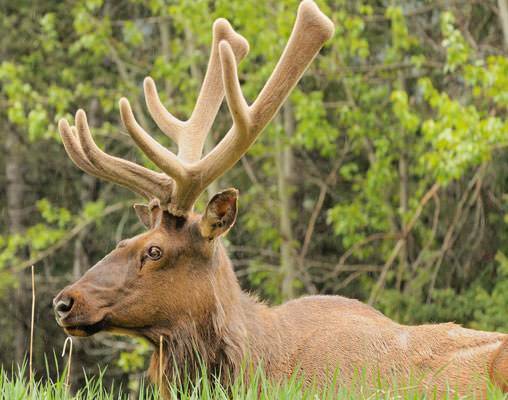 Highlights include the hoodoos, Surprise Corner, Tunnel Mountain Drive, the Bow River Valley, and the Cave and Basin. Overnight Banff. Here in the heart of the Canadian Rockies, your rail adventure comes to an end. You may elect to add additional nights to your itinerary in Banff, or a transfer to the Calgary Airport is included for flights scheduled after 1:00 pm. 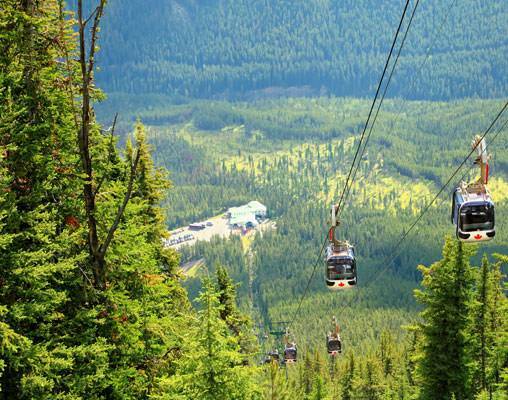 Hotels include the Delta Vancouver, Whistler's Inn, Deer Lodge, and Banff Ptarmigan Inn. VIA Rail accommodations are in Sleeper Plus Class in a semi-private berth. Meals are included onboard the train along with access to the Park Car with its lounges and 360-degree panoramic views. Hotels include Sheraton Vancouver Wall Centre, Sawridge Inn & Conference Center Jasper, Post Hotel, and Rimrock Resort Banff. VIA Rail accommodations are Sleeper Plus Class in a private cabin. Meals are included onboard the train along with access to the Park Car with its lounges and 360-degree panoramic views. Hotels include Fairmont Hotel Vancouver, Jasper Park Lodge, Fairmont Chateau Lake Louise and Fairmont Banff Springs. VIA Rail accommodations are Sleeper Plus Class in a private cabin. Meals are included onboard the train along with access to the Park Car with its lounges and 360-degree panoramic views. 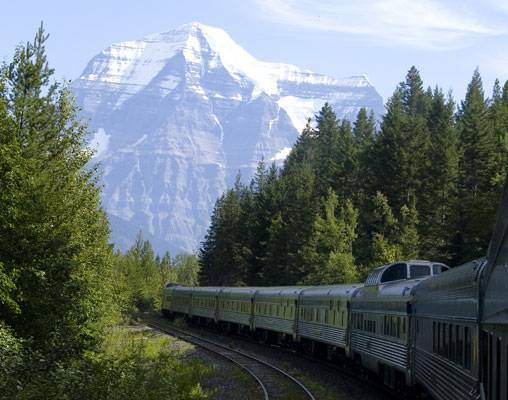 Click here to view testimonials for Canadian Rockies by Rail. Everything was well planned and it all went smoothly. We booked an independent tour with Efi P. She booked all aspects of our trip perfectly. Everything went extremely smooth and we enjoyed it all. We were extremely satisfied. Our trip was exactly what we wanted. Enter your details below if you would like to be notified when 2021 dates and prices are available for Canadian Rockies by Rail. Prices are correct at the time of publication, however are subject to change at time of booking. Hotel and Rail accommodations listed above, are subject to change based on availability at the time of booking. Prices are land-only, per person based on double occupancy. Taxes are not included on rail portions and are subject to change. Private transfers are available at an additional cost if your flights do not fit with the schedules listed. Senior and child rates are available. Prices are correct at the time this web page is published; however are subject to change.